The Phillips Hue Starter Kit got me into the Smart Home trend. Now I have Nest, Alexa and I just keep going. Nothing it better than being able to control your lights from your phone. Dim them, change colors, turn them off from the comfort of your bed. Philips Hue is a life changer, and now it’s affordable for everyone. 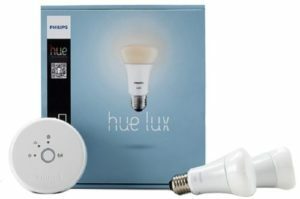 The Hue makes a great gift for the gadget lovers, or those of us who hate coming home to a dark house.